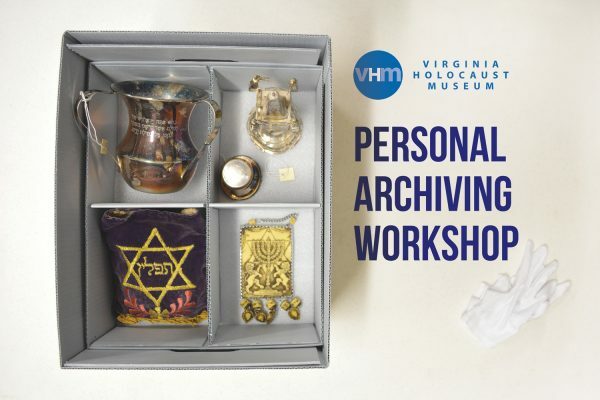 The Virginia Holocaust Museum will hold a Personal Archiving Workshop on Saturday, November 10 from 1:00–3:00 pm. Museum curators will discuss how you can take steps today to ensure your family’s important memories are preserved. We will cover a wide range of material including photographs, documents, videos, audio, objects, as well as digital files. The format will be a guided discussion with hands-on examples, so participants can get practical answers to their questions. This workshop is free, but space is limited so please RSVP below to reserve a seat. Yes, I would like to sign up for the VHM eNewsletter to learn about more events like these.